Turn to Mother Nature for this easy upgrade for your window sill, place this natural wooden planter at your window and plant your favorite plants, see them blooming. Start your morning with a happy note seeing beautiful plants. Yard designing is among the methods that one can enhance the easy and bare setup of one’s lawn. The job does not require fancy plans and designs for one to be engaged to. Really, in just couple of easy steps, one can transform an ordinary landscape right into a relaxing and enjoying area. What makes Smart Bin Air special? *Stops landfills, air & ground water pollution while improving the lives of waste-workers. No mixing or turning, Forgiving & flexible system, Easy to teach to household help, Lifetime support & hand-holding. Long lasting – lasts over 10 years, Composts all kinds of food waste, Gives compost as well as liquid fertilizer, Gives organic drain and toilet cleaner. Great for the garden and animal lover, bring gorgeous earth tones to your backyard. This terracotta is reminiscent of a traditional pot, but with the addition of this little rabbit, it becomes delightful. Place any plant in this pot to create a distinctive look for your garden! The daylight is staying with us longer and longer…a sure sign spring is on its way. This cute terracotta bunny planter is the perfect way to celebrate the return of warm weather and pretty gardens. Design Details : A succulent cluster arranged aesthetically in a bulb shaped terrarium. Size Details : Bulb Height: 7″ , Width: 5″. Comes with a string attached. This cocopeat Brick is enriched with N:P:K nutrients in proper ratio, which is needed for healthy plant growth. This Simple Round Sprinkler is a good quality garden sprinkler that is specially designed to give even water coverage. Srinkler head rotates full circle providing full coverage to the lawn/garden. Works only with water pressure no battery/power required. The sprinkler is mounted on a stable sled which gives stability on any surface. It features a reliable, water-powered, rotating unit that is able to operate at variable water pressures. Conservation status: Widespread and common. Made from strong woven polyethylene material. Full UV protection against the sun for a longer life. Square HDPE Woven Grow Bag 18″x 12″x 06″ are ideal for balcony or small gardens, where space is a premium and you don’t want to be fiddling around with dirt. Our adorable Smiling Dog Terracotta Garden Planter – “Laddu” is a fun addition to any patio or garden area. From his pointed tail to the perky ears, the level of detailing on the planter and the finish is flawless. You can use the this planter to plant colorful flowers, green houseplants or succulents. This also makes a perfect gift for a loved one. The planter can be kept out in the garden and you could even paint it to your taste. These look great indoors, on a coffee table, window sill, bathroom or kids room. The planter is made with Terracotta, sun dried and baked in a kiln. The product comes with drain holes. We have created specially designed nestboxes to make some of the exotic birds feel right at home in your garden. Mynahs, golden orioles and other medium-size cavity breeders will appreciate this nest box .With these specially designed nest boxes, give your favourite friends from the neighbourhood a resting place. Place it in your garden and soon, you’ll be enjoying the happy twittering sounds of the birds at play! Will help you watch birds from close quarters. uses: People use German chamomile to treat irritation from chest colds, slow-healing wounds, abscesses, gum inflammation, and skin conditions such as psoriasis, eczema, chickenpox, and diaper rash. For these conditions, you use chamomile in an infusion or bath, or as a tincture, which is a concentrated extract mixed with alcohol. People use Roman chamomile as a tea to treat an upset stomach, sleeping problems, or menstrual pain. Sheru – Our adorable Indie Dog Terracotta Garden Planter is a fun addition to any patio or garden area. From his pointed tail to the soft ears, the level of detailing on the planter and the finish is flawless. You can use the this planter to plant colorful flowers, green houseplants or succulents. This also makes a perfect gift for a loved one. The planter can be kept out in the garden and you could even paint it to your taste. These look great indoors, on a coffee table, window sill, bathroom or kids room. The planter is made with Terracotta, sun dried and baked in a kiln. The product comes with drain holes. 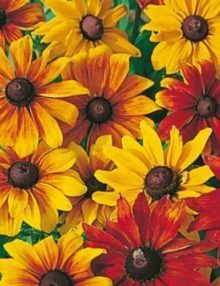 Easy-to-grow from Sunflower seeds, this variety is a favorite of home gardeners everywhere who want the delight of Sunflowers without the massive plants. This Sungold has massive flower heads, but only grows to a maximum of 24 inches tall. Sunflower Care: It is important not to over water Sunflowers. Too much water may result in soil loosening and losing stability to hold the plant. Sungold Sunflower plants are somewhat drought and heat tolerant. They will flower mid-summer through fall and need little care or pruning. Sunflowers are the kings of the natural sunny summer garden, attracting butterflies and birds. They are easy to grow from flower seed. After danger of frost has passed, directly sow Sunflower seeds into prepared seed beds that are weed free and the soil has been loosened. Space the Sun Gold seeds 12 inches apart, cover the seed 1/2 inch deep, and thin the seedlings to 24 inches apart. Height: Tree Lupins form a shrubby bush up to 1.5 metres in height. Grow Bags are ideal for balcony or small gardens, where space is a premium and you don’t want to be fiddling around with dirt. Store tatsoi green in cold refrigeration, isolated in the crisper drawer with other cold-storage vegetables. Tatsoi has a short shelf-life and will only last a few days. Store in plastic bag and wait to wash until eating or cooking. uses:lemon basil is used in rice dishes such as Nasi ulam. In Laos, lemon basil is used extensively in Lao curries, stews, and stir-fried dishes as it is the most commonly used type of basil in Laos. Size : 1′ x 1′. Succulent Hanging Frame: Is an eclectic mix of succulents planted in a flat bed and enclosed within a pine wood frame. Light: Thrives in strong light – preferably outdoors in west facing balconies or under a bright skylight indoors. Watering: Water once a week using a sharp spray. Spray directly to the base of the plants. Do not over water. Repotting: This is not normally needed, but if the plant has outgrown its pot it’s a good idea to repot in Spring or to pluck out its baby plants. Design details : We planted this bronze angel in an imported conical copper ceramic planter. Red Star Dracaena (Cordyline Australis) : Is an easy to grow, hardy house plant that requires partial sun. It is ideal for beginner garderners as it is absolutely non-fussy! Light: Well-lit places where it receives filtered sunlight is a good spot for Cordylines. Soil: A good mix of regular loamy sandy soil. It should be well drained. Watering: Likes the soil to dry up a bit between watering. Always test the soil for moisture before watering. Once in 2 days is ideal for all round the year except summers. Humidity: Average humidity is good. It likes watering on its leaves. Feeding: A general NPK feed at the base – once every 2 weeks is needed to be luscious and green. Repotting: Over time it fills the pot and the plant kind of overflows. You can repot them at this juncture, preferably during spring. Speed of Growth: Moderately fast … but they are tall and foliage will never be overwhelming. Flowers: Gives green flowers in very mature Cordylines. But their foliage is more interesting than the flowers. Greener tips: To keep the plant looking its best, remove dead or damaged growth throughout the season. Bird’s Nest Fern (Asplenium Nidus) : The arrangement of their glassy leaves resembles a bird’s nest … giving it the name. It is also one of the easiest growing ferns. We have chosen a white painted terracota ribbed pot to plant this resplendent green! Light: Medium amount but consistent light is needed, but you must always avoid direct sun. North or east facing balconies/ windows should bring about the magic. Water: Keep the plant constantly moist. Water everyday in all seasons. Humidity: Loves humidity in the air. Mist the plants regularly. Misting also helps in reducing the dust that tends to get collected on the large span of their leaves. Feeding: A weak all purpose feed once every 2 weeks is necessary for glossy and bright leaves. Repotting: This fern grows profusely if well cared for. So you can repot them every year during spring till it attains its full growth. After this phase, repotting once in 2 years is sufficient. Propagation: is mostly through spores that are produced under the leaves and is a time-consuming feat … best to buy new plants than try to propagate. Green tips: These plants have naturally glossy leaves and all you have to get them back to be glossy, is put them under a shower. A good bath has never hurt anyone, has it? Design detail : We planted this bronze angel in a round imported copper ceramic planter. Red Star (Cordyline Australis) : Is an easy to grow, hardy house plant that requires partial sun. It is ideal for beginner garderners as it is absolutely non-fussy! This design is available in a copper ceramic impored planter that goes aesthetically well with the rosette arrangement of its bronze leaves. Light: Indirect light or moderate shade. Do not expose to direct sunlight. Water: Keep water in the central cup. Change water frequently with clean water to prevent rot. Soil: Any kind of soil is suitable. They need soil only for support. Propagation: Gives forth babies regularly. Cut these and plant them to grow into mature adults. Repotting: Mature bromeliads should not be repotted. Smaller bromeliads can be potted into small containers until they are established. Green tips: The two best tips for success are these: make sure the plant is potted adequately so it won’t pull over the container and provide ample warmth and humidity. Design details : We have planted this beauty in a terracota basket and can be ideal gifts. Climbing Fig (Ficus Repens) : A lovely creeping plant that adds character to any wall or plane surface, this plant can also be grown in hanging pots. Light: It can survive in full light as well as semi shade. Soil: Fertile loamy soil with good drainage. Watering: Likes to be watered everyday. Feeding: Any organic manure or mild NPK every week is good for shining leaves. Repotting: This is needed if the plant has outgrown its pot. It’s a good idea to repot in Spring. Tips: Climbing figs grow pretty fast in best conditions. They also need regular pruning to look good. Maranta rubra: Vibrant plant ideal for indoors, this one is placed in a vivdly colored tin pot. Soil: Sandy loam, Excellent drainage. Watering: Water every alternate day. Feeding: A weak all purpose feed once a month is more than sufficient. Repotting: This is not normally needed, but if the plant has outgrown its pot it’s a good idea to repot in Spring. Oak Leaf Fern (Drynaria) : These strikingly beautiful indoor fern is ideal for spaces under skylights or porches. This dazzler is potted in a white ribbed terracota pot, specially chosen to highlight the ribs of its leaves. Propagation: is mostly through spores that are produced under the leaves and is a time-consuming feat … best to buy new plants or divide old ones than try to propagate. Miniature Jade (Portulacaria Afra Variegata) : These are pretty identical to Jade plants . They are ideal to be gifted as house-warming plants and are supposed to bring good luck. The fact that these lovely plants are not at all demanding, seem to add to their appeal. This medium sized miniature Jade is planted in a large black oval Indian ceramic pot. Light – Place him in bright light or under in-direct sunlight to see him happy! But never place him in deep shade. Helpful Tips – Like Jades, these too hate pampering and do not tolerate over-watering. Let the pot dry completely between watering. These miniatures can be trained to become excellent Bonsai of the Cascade & Forest grove style. Tin Pots Peperomia: Peperomia obtusifolia is a fantastic houseplant that can survive with very less light too! Potted in these vibrant colored tin pots, these potted beauties add a new zing to your indoors! Light: Thrives in medium light – both indoors and outdoors. Repotting: This is not normally needed, but if the plant has outgrown its pot it’s a good idea to repot in Spring or to divide out its baby plants. Peperomia Tricolor : A gracefully colorful plant, this peperomia is good for partial shade and is planted in a brown Indian ceramic pot. Light: It can survive in partial light. Watering: Very low watering. These are drought resistant, yet need good watering to thrive. Water once in 3 days in summer and space it even further during monsoon and winter. Design details : This handsome hunk is planted in a long ribbed terracota pot. Snake Plant (Sansevaria) : This is a very low-maintenance houseplant that is primarily grown for its resplendent leaves. It is a very hardy plant and can tolerate over-watering and under-watering as well as over exposure and under exposure to sun. Mudfingers recommends this for new gardeners. This plant is planted in a round ribbed terracota pot. Light: Thrives well in full sun as well as partial shade. When kept in full sun, the plant tends to flower (not too eye-catchy) as well as a shine is seen in the leaves. Soil: Very well drained sandy mixture. Watering: Very drought tolerant plant. Water once in 3-4 days during summers and once a week in winters. Feeding: A weak all purpose feed once in 2 months is more than sufficient during the growing months of spring. Repotting: The snake plant does not enjoy being re-potted very often, so re-pot only when the pot cracks from growth. They’re best potted within a clay pot that can crack once maximum growth space within the pot is used. Propagation: Very easy to propagate. Divide the plant during re-potting. Flowers: Well cared plants give forth white colored flowers. Tips: Air purifitying: While all plants purify air-borne toxins the snake plant is among the top plant’s tested and added to a list by NASA (National Aeronautics and Space Administration) for removing, benzene, formaldehyde and other harmful toxins. Rectangle HDPE Woven Grow Bag 12″x 12″x 09″ are ideal for balcony or small gardens, where space is a premium and you don’t want to be fiddling around with dirt. Rectangle HDPE Woven Grow Bag 24″x 12″x 12″ are ideal for balcony or small gardens, where space is a premium and you don’t want to be fiddling around with dirt. ‘My First Garden’ is a well designed Fun and Educational Grow Kit, researched and created to develop interest in agriculture among the kids. Rectangle HDPE Woven Grow Bag 24″x 24″x 12″ are ideal for balcony or small gardens, where space is a premium and you don’t want to be fiddling around with dirt. Very good flight quality and excellent grip. Diameter: 27 cm – 175 g. Designed and tested by expert teams in Hendaye, France. The Tribord global design centre is located on the banks of the Bidassoa in Hendaye. Copper sulphate can be used as a fertilizer or fungicide. It is commonly used by gardeners and commercial farmers to prevent problems with fungus or mold. The effects of copper sulphate on plants may be negative or positive. The copper status of the soil, together with the frequency of application and quantity of copper sulphate applied, will determine the effects of copper sulphate on plants. Grow Bags – Small, Pack of 10 are ideal for balcony or small gardens, where space is a premium and you don’t want to be fiddling around with dirt.